Doing some after-lunch shopping on The Hill. 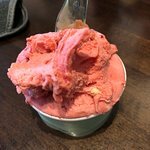 Stopped in at Gelato di Riso for a gelato dessert. They had an extensive flavor selection of this creamy Italian treat, something here for every palate, and I am told they use imported Italian ingredients for an authentic dessert expierence. Sure, you can pay big bucks in a fancy Hill restaurant for dessert. But the gelato here is reasonably priced and tastes fantastic! Glad we tried it! If you visit The Hill in St. Louis, you must treat yourself to the creamy deliciousness of gelato at Gelato di Riso. The selection of flavors is not limited and you will have to make a difficult decision. Ask for a sample before you decide! I loved the fruit flavors: blood orange, blueberry, raspberry, lime, lemon. Yes, I’ve been here more than once. 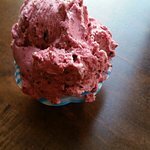 Been to Gelato Di Riso? Share your experiences!